The Committee on Finance is one of the original committees established in the Senate. 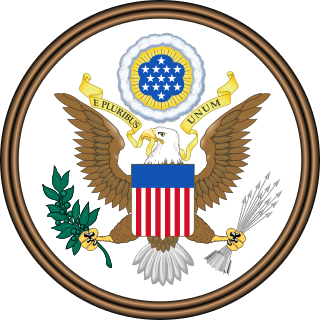 First created on December 11, 1815, as a select committee and known as the Committee on Finance and an [sic] Uniform National Currency, it was formed to alleviate economic issues arising from the War of 1812. On December 10, 1816 the Senate officially created the Committee on Finance as a standing committee. Originally, the Committee had power over tariffs, taxation, banking and currency issues and appropriations. Under this authority the committee played an influential role in the most heated topics of the era; including numerous tariffs issues and the Bank War. The committee was also influential in the creation of the Department of Interior in 1849. Under the Chairmanship of William Pitt Fessenden, the committee played a decisive role during the Civil War. Appropriating all funds for the war effort as well as raising enough funds to finance the war through tariffs and the nation's first income tax. Additionally, the committee produced the Legal Tender Act of 1862, the nation's first reliance on paper currency. In 1865 the House of Representatives created an Appropriations Committee to relieve the burden from the Committee on Ways and Means. The Senate followed this example by forming the Appropriations Committee in 1867. Despite the loss of one of its signature duties the committee continued to play a prominent role in the major issues of the nation. The committee was at the center of the debate over the silver question in the latter half of the 19th Century. Passage of the Bland-Allison Act and the Sherman Silver Purchase Act were attempts to remedy the demand for silver, though the silver cause would eventually fail by the end of the century. The committee also continued to play a role in the debate over income taxes. The repeal of the Civil War income taxes in the 1870s would eventually be raised in 1894 with the passage of a new income tax law. The Supreme Court's decision in Pollock v. Farmers' Loan & Trust Co., 157 U.S. 429 (1895) ruled the income tax as unconstitutional, since it was not based on apportionment. The fight for an income tax finally culminated with the Payne-Aldrich Tariff Act of 1909. In order to pass the new tariff Senate leaders, including Chairman Nelson Aldrich, allowed for a Constitutional Amendment to be passed. Four years later the 16th Amendment was officially ratified and in 1913 the nation's first peacetime income tax was instituted. Around that same time the committee lost jurisdiction over banking and currency issues to the newly created Committee on Banking and Currency. The committee did gain jurisdiction over veterans’ benefits when it successfully passed the War Risk Insurance Act of 1917. The act shifted pensions from gratuities to benefits and which served as one of the first life insurance programs created under the federal government. The Finance Committee continued to play an increasingly important role in the lives of the nation's veterans. The committee helped to consolidate the veteran bureaucracy by streamlining the various responsibilities into a Veterans' Bureau which ultimately would become the Veterans' Administration. In 1924 the committee passed a "Bonus Bill" for World War I veterans which compensated veterans of that war for their service. These series of increasing and providing better benefits for veterans reached a crescendo in 1944 with the passage of the Servicemen's Readjustment Act. Senator Bennett "Champ" Clark, who served as the Chairman of the Subcommittee on Veterans, assured smooth sailing of the bill through the Senate. The bill not only ended the usual demands from returning veterans which had been seen in nearly every war America had participated in, but also provided the most generous benefits that veterans had ever received, including continuing education, loans and unemployment insurance. Not all Finance Committee legislation was as well received as the G.I. Bill. At the beginning of the Great Depression the committee passed the Smoot-Hawley Tariff Act. The act greatly increased tariffs and had a negative effect on the nation's economy. Following traditional economic practices the members of the committee, including Chairman Reed Smoot, felt that protection of American businesses was required in order to buoy them during the dire economic times. The effort backfired and the economic situation worsened. The Smoot-Hawley Tariff would eventually be replaced by the Reciprocal Tariff Act of 1934 which authorized the President to negotiate trade agreements. This act not only set up the trade policy system as it exists today but also effectively transferred trade making policy from the Congress to the President. The committee also played an important role in two major acts created under the New Deal. The committee received jurisdiction over the National Industrial Recovery Act because of tax code changes in the bill. The new bureaucracy was President Franklin D. Roosevelt's attempt to stimulate the economy and promote jobs for unemployed Americans while also regulating businesses. The National Recovery Administration would ultimately fail as it lost public support but the act served as a springboard to the Wagner Act and the National Labor Board. Probably the single biggest, and by far one of the most lasting, piece of legislation enacted by the Finance Committee during the New Deal was the Social Security Act. Once again the committee received jurisdiction owing to the payroll taxes that would be enacted to pay for the new program. The act was the first effort by the federal government to provide benefits to the elderly and the unemployed. The act greatly enhanced the economic welfare of many elderly Americans. In 1981, a Senate Resolution required the printing of the History of the Committee on Finance. The role of the Committee on Finance is very similar to that of the House Committee on Ways and Means. The one exception in area of jurisdiction is that the Committee on Finance has jurisdiction over both Medicare and Medicaid, while the House Ways and Means Committee only has jurisdiction over Medicare. (The House Energy and Commerce Committee has jurisdiction over Medicaid.) The other difference in terms of power is that all revenue raising measures must originate in the House giving the Ways and Means Committee a slight edge in setting tax policy. In addition to having jurisdiction over legislation the Committee has extensive oversight powers. It has authority to investigate, review and evaluate existing laws, and the agencies that implement them. Due to the Committee's wide jurisdiction, it is often considered an influential committee. A wide array of Senators with differing policy concerns seek membership on the Committee because of its role in setting tax, trade, and health policy. 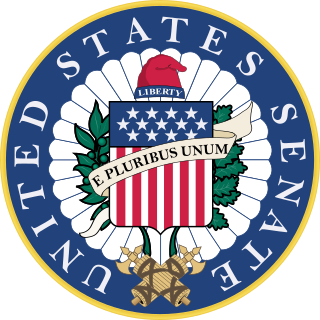 ^ "History of the Committee on Finance United States Senate". Government Printing Office. ^ Jellison, Charles A. Fessenden of Maine, Civil War Senator. Syracuse: Syracuse University Press, 1962. ^ Sherman, John. Recollections of Forty Years in The House, Senate, and Cabinet: An Autobiography. 2 vols. 1895. Reprint. New York: Greenwood Press, 1968. ^ Stephenson, Nathaniel W. Nelson W. Aldrich: A Leader In American Politics. 1930. Reprint. New York: Kennikat Press, 1971. ^ Bennett, Michael. When Dreams Come True: The G.I. Bill and the Making of Modern America. Washington: Potomac Books, Inc., 1999. ^ Dobson, John. Two Centuries of Tariffs: The Background and Emergence of the U.S. International Trade Commission. Washington:U.S. Government Printing Office, 1976. ^ Ratner, Sidney. Taxation and Democracy in America. Octagon Books, 1980. ^ Swain, Martha H. Pat Harrison: The New Deal Years. Jackson: University Press of Mississippi, 1978. ^ "The United States Senate Committee on Finance". www.finance.senate.gov. Retrieved February 11, 2017. ^ Chaired a special session of the 29th Congress. His ten-day chairmanship of the committee is the shortest on record. ^ Morrill holds the longest non-continuous service as Chairman, at eighteen years. Russell Long holds the longest continuous service as chairman, at sixteen years. Senate Finance Committee. Legislation activity and reports, Congress.gov. History of the Committee on Finance; United States Senate (pdf). 4th ed. Washington, D.C.: Government Printing Office, 1981. Medicaid in the United States is a federal and state program that helps with medical costs for some people with limited income and resources. Medicaid also offers benefits not normally covered by Medicare, including nursing home care and personal care services. The Health Insurance Association of America describes Medicaid as "a government insurance program for persons of all ages whose income and resources are insufficient to pay for health care." Medicaid is the largest source of funding for medical and health-related services for people with low income in the United States, providing free health insurance to 74 million low-income and disabled people as of 2017. It is a means-tested program that is jointly funded by the state and federal governments and managed by the states, with each state currently having broad leeway to determine who is eligible for its implementation of the program. States are not required to participate in the program, although all have since 1982. Medicaid recipients must be U.S. citizens or qualified non-citizens, and may include low-income adults, their children, and people with certain disabilities. Poverty alone does not necessarily qualify someone for Medicaid. Medicare is a national health insurance program in the United States, begun in 1966 under the Social Security Administration (SSA) and now administered by the Centers for Medicare and Medicaid Services (CMS). It provides health insurance for Americans aged 65 and older, younger people with some disability status as determined by the Social Security Administration, as well as people with end stage renal disease and amyotrophic lateral sclerosis. Medicare is funded by a combination of a payroll tax, beneficiary premiums and surtaxes from beneficiaries, and general U.S. Treasury revenue. Nelson Wilmarth Aldrich was a prominent American politician and a leader of the Republican Party in the United States Senate, where he served from 1881 to 1911. By the 1890s he was one of the "Big Four" key Republicans who largely controlled the major decisions of the Senate, along with Orville H. Platt, William B. Allison and John Coit Spooner. Because of his impact on national politics and central position on the pivotal Senate Finance Committee, he was referred to by the press and public alike as the "General Manager of the Nation", dominating tariff and monetary policy in the first decade of the 20th century. The Medicare Prescription Drug, Improvement, and Modernization Act, also called the Medicare Modernization Act or MMA, is a federal law of the United States, enacted in 2003. It produced the largest overhaul of Medicare in the public health program's 38-year history. The United States Senate Committee on the Budget was established by the Congressional Budget and Impoundment Control Act of 1974. It is responsible for drafting Congress's annual budget plan and monitoring action on the budget for the Federal Government. The committee has jurisdiction over the Congressional Budget Office. The committee briefly operated as a special committee from 1919 to 1920 during the 66th Congress, before being made a standing committee in 1974. The Social Security Amendments of 1965, Pub.L. 89–97, 79 Stat. 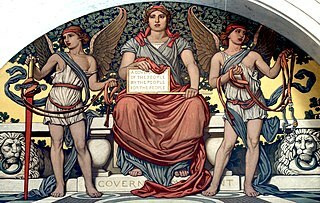 286, enacted July 30, 1965, was legislation in the United States whose most important provisions resulted in creation of two programs: Medicare and Medicaid. The legislation initially provided federal health insurance for the elderly and for poor families. The United States federal budget is divided into three categories: mandatory spending, discretionary spending, and interest on debt. Also known as entitlement spending, in US fiscal policy, mandatory spending is government spending on certain programs that are mandated by law. Congress established mandatory programs under authorization laws. Congress legislates spending for mandatory programs outside of the annual appropriations bill process. Congress can only reduce the funding for programs by changing the authorization law itself. This requires a 60-vote majority in the Senate to pass. Discretionary spending on the other hand will not occur unless Congress acts each year to provide the funding through an appropriations bill. Confederate war finance was the various means, fiscal and monetary, through which the Confederate States of America financed its war effort during the American Civil War. As the war lasted for nearly the entire existence of the nation, it dominated national finance.